For all my Utah ladies out there, I have a rad event to share with you! 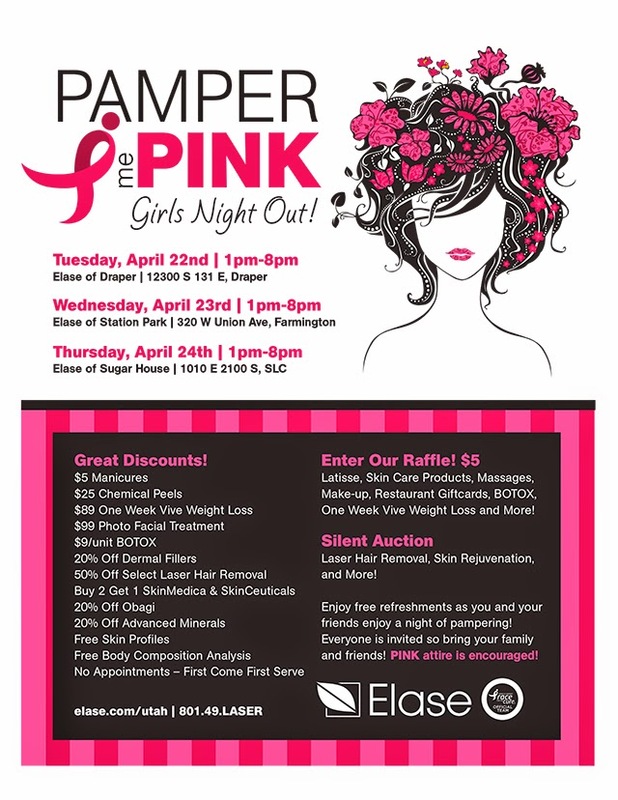 Elase Medical Spa is having a GNO event in April and you all BETTER be there! ;) It's supporting an amazing cause and it gives us the opportunity to hang out and get pampered. Nothing better. I've been going to Elase for the last few weeks. So far I've tried Latisse, laser hair removal, and photofacials. I'm not going to lie, I was petrified of the laser hair removal and photofacial but I was completely over-reacting! It's kind of like little pinches on your skin, which are so worth it when you see the end result! I can't wait to show you guys before and afters so stay tuned! Can we go to the Draper one together please??! Also, I just saw this post: http://maritsa.co/2014/04/03/kitten-heels/ on my bloglovin. I only looked at the photo and clicked on it because I assumed it was you... then was totally confused when it wasn't your blog! Something about the whole styling of this look totally looked like you! Just thought you should know. Looks like a fun event. Can't wait to read your post! Can't wait to see you Jess! Thank you for supporting this super fun event!